It’s understandable …. You loaded up your new campaign, it all looks good, so you rush over to the Google search page and type in a keyword, waiting eagerly to see your own ad show up. Voilà! -- there it is for everyone to see. You know what? Don’t do that. By performing searches that trigger your ad, you'll accumulate impressions (how often your ad is shown) without clicks, which can prevent your ad from appearing as often as it should. Why? Based on how many clicks your campaign can afford in a day, your ad will participate in only a percentage of searches. So if your budget can only afford to access 7% of the available traffic in a day, do you really want to waste an impression on yourself? While you may see your ad, a potential customer who searches for it 30 seconds later may not get the chance! So, when your ad is triggered, you want it be triggered by a customer. Also, if you repeatedly look for your own ad using Google but never click on it, you might stop seeing it entirely. That's because Google will stop showing you Ads which it thinks you aren't interested in. The fact that you don't see your ad at some specific instant during the day doesn't mean it's not active. 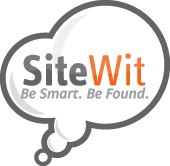 If your goal is to measure the impact of your Ad and view website traffic, you may view its performance from your SiteWit account. As always, SiteWit would be delighted to explain that jumble of information to facilitate your success in today’s marketplace.